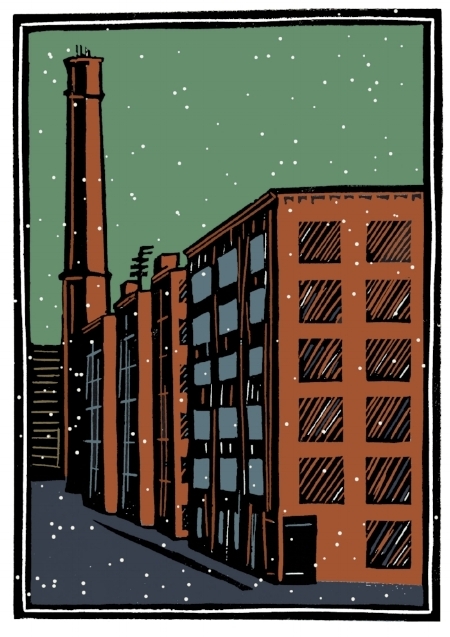 What is holiday shopping Fort Point style? 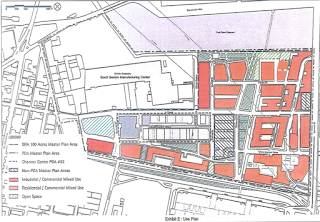 It is social, unique and avoids mall traffic. It is one-of-kind gifts for everyone on your list. It is tasty treats and refreshments from fine restaurants. It is live entertainment by local performers. It is free and open to all. It starts Wednesday, December 14, 2016 from 6 pm - 8 pm with the opening reception of Paper Chase 2016 at the FPAC Gallery at 300 Summer Street. On sale are over 50 works on paper, including prints, drawings, watercolors, photographs, and handmade paper. All priced at $100. The exhibition benefits the Fort Point Arts Community. Works will be on sale through December 23d. On Thursday, December 15th from 6 pm to 8 pm, visit the Gallery At 249 A for the opening reception of The Colors of Nature: Dorothy Hebden Heath & Caroline Muir. 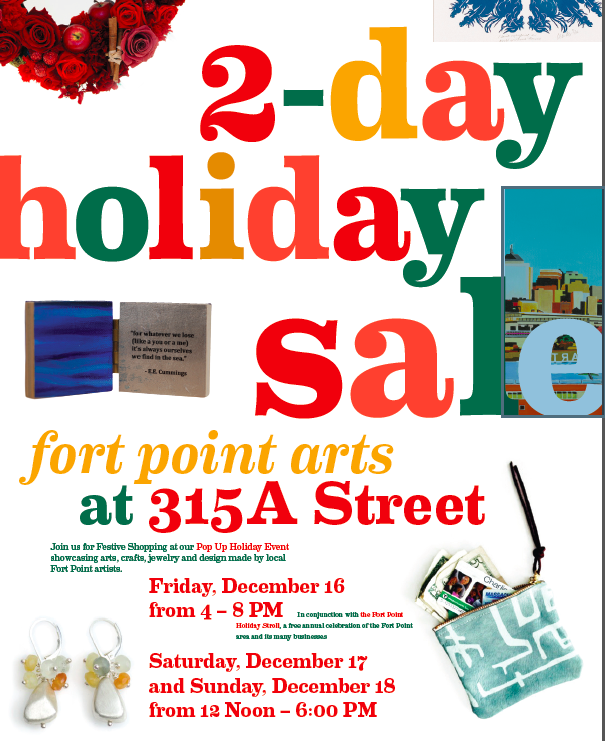 The gallery will also be open during the Fort Point Stroll on Friday and the 249 A Holiday Sale on Saturday 12 pm - 5 pm. The Gallery at 249 A is located within the 249 A Street Artists Cooperative. 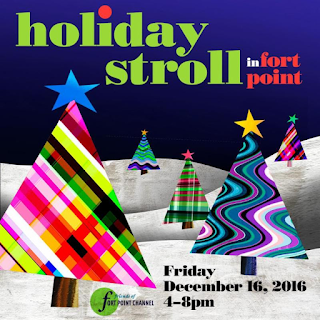 Not to be missed is the Friends of Fort Point Channel Fort Point Holiday Stroll this Friday, December 16th from 4 pm - 8 pm. Shop, Sip and Stroll through our historic neighborhood, nibble sweet & savory treats from restaurants and bars, explore galleries & artist studios, and shop at boutiques & pop-up shops. Don't forget to grab your map at any of the participating locations, explore the neighborhood, and collect stamps for a chance to win amazing prizes from local boutiques and restaurants! View list of Stroll participants and plan your shopping stroll experience. Fort Poinsettias featuring Larry Platt, Mo Thorkelson and Curly Cremona will be performing a holiday season sing-along Friday from 4:30 pm - 7:30 pm at the Gallery At 249 A. This performance is sponsored by the Friends of Fort Point Channel. 249 A Holiday Sale: December 16th from 4 pm - 8 pm and Saturday, December 17th from 12 pm - 5 pm. 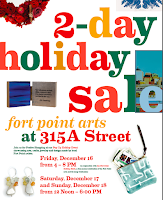 Fort Point’s original artists' building will hold a mini-open studios for holiday shopping. More than twenty artists, both cooperative members and invited guests, will be opening their doors in the building. Visitors can find handmade gifts of art, craft, and design made by local artists in one building in the historic Fort Point neighborhood of South Boston. Shop in a relaxed studio setting, meet the artists, and enjoy complimentary refreshments. Rooster Tails and the Fort Point Theatre Channel present A Surreal Soiree: An Evening of Beatniks, Clowns and Cleopatra Friday at 8 pm at Art Under The Stairs, Midway Artist Studios, 15 Channel Center Street. It will be a Cacophonous Cabaret of sound and light. movies, music, and performance by Mick Cusimano and friends. More details. 243d Boston Tea Party Re-enactment: Presented by Old South Meeting House and the Boston Tea Party Ships & Museum, the Annual Boston Tea Party Reenactment is a chance for the public to join in on one of Boston’s most iconic protests. Re-enactors from across New England come together to tell the story of the Boston Tea Party and dramatize the evening of December 16, 1773. Head to the Boston Tea Party Ships & Museum by 8 pm and watch as the Sons of Liberty storm aboard the Brig Beaver to destroy chest after chest of East India Company Tea. More details. 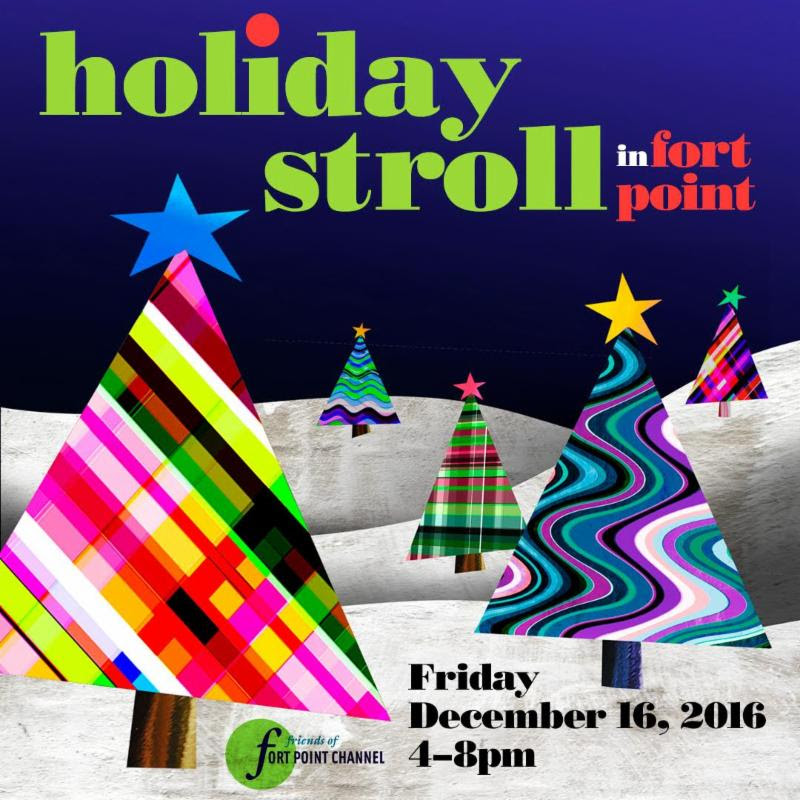 Join the Fort Point Arts Community for festive shopping showcasing arts, crafts, jewelry and designs by local Fort Point artists. Holiday Gems at Made In Fort Point store offers a wide range of fine art, jewelry, prints, clothing and cards where you are sure to find a gem for even the hardest person to buy for on your list. Made in Fort Point received Best of Boston neighborhood shopping for 2016. Open Thursday - Saturday 12 pm - 6 pm. Thank you for visiting Fort Point and supporting our local artists, restaurants, museums and retail shops.